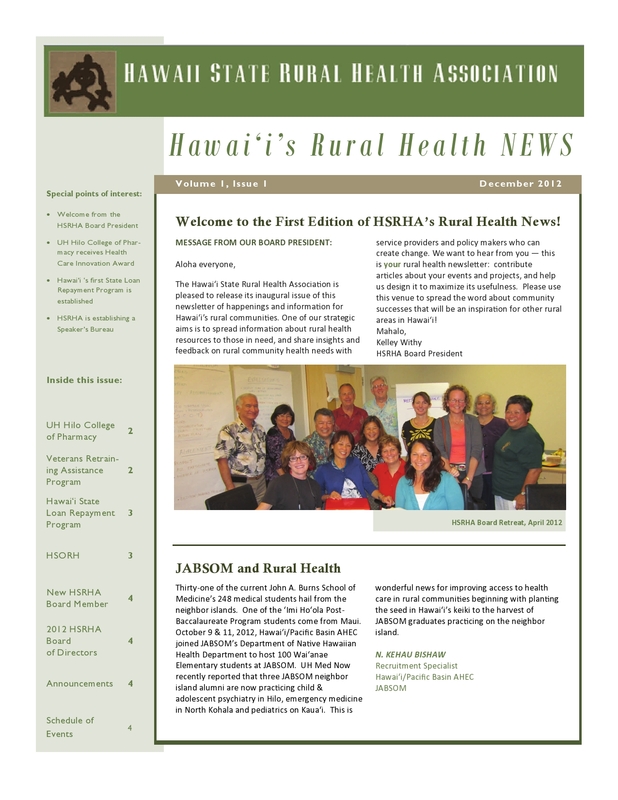 December « 2012 « Ka'u Rural Health Community Association, Inc.
WASHINGTON—The Asian & Pacific Islander American Health Forum (APIAHF) applauded the Department of Health and Human Services’ (HHS) recent announcement that states will have to either fully expand their Medicaid programs under the Affordable Care Act (ACA) or not at all. The move is aimed at extending insurance coverage to millions of low-income Americans. A number of governors had suggested a partial expansion of their Medicaid programs after the Supreme Court’s decision in June, which removed the federal government’s enforcement power to require all states to fully expand their Medicaid programs to persons earning up to 138 percent of the federal poverty line. 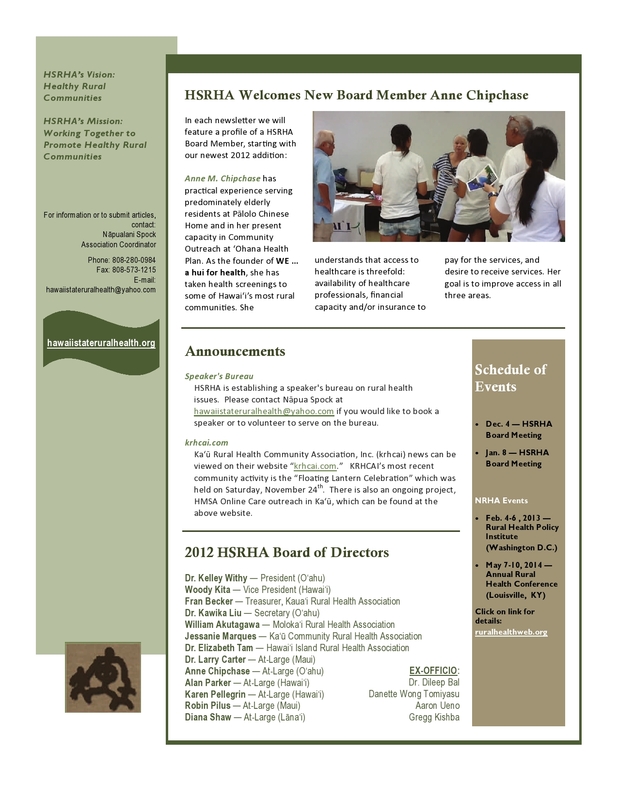 Nearly one in seven, or 2.8 million AAs and 162,000 NHPIs are uninsured. Expanding Medicaid could make a significant dent in these numbers and expand access to affordable care for millions. If every state expands Medicaid, then nearly one in 10 AAs and one in eight NHPIs would qualify for coverage in 2014. Click here to learn more about why Medicaid matters for AA and NHPI communities and how the ACA will expand coverage for these communities nationally. 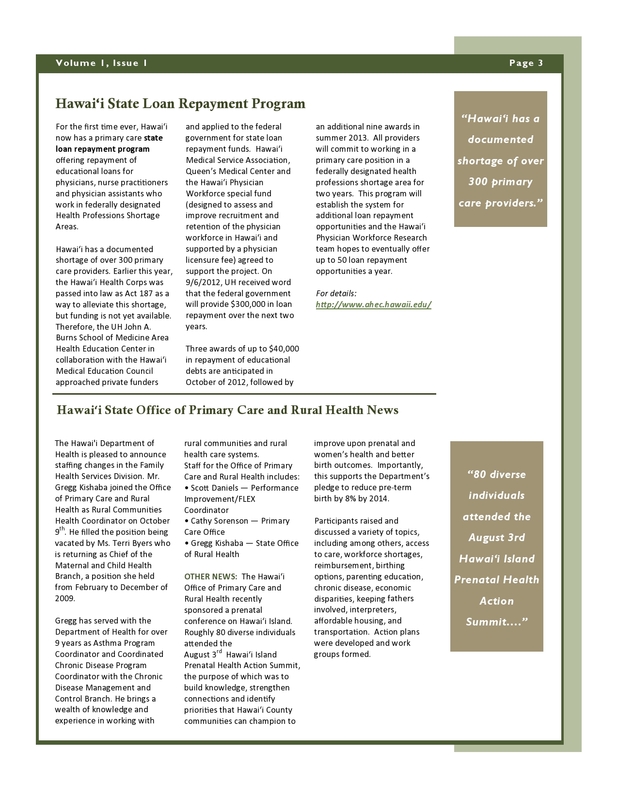 Read our Medicaid expansion infographic covering key states. With its partners, APIAHF is working to ensure full implementation of the Affordable Care Act’s significant coverage expansions, including the Medicaid program expansions and individual and small employer health exchanges. On Dec. 11, tell Congress: No benefit cuts for seniors! Medicare, Medicaid, the Social Security Cost of Living Adjustment (COLA), the Older Americans Act, Section 202 housing, energy assistance, and more are at serious risk in the budget negotiations now happening in Washington. The recent proposal from House Republican leaders would cut all of these programs. See what’s at stake. Congress needs to hear from you why these programs must be protected for millions of older Americans, workers, and families in need! Any budget agreement should have the overarching goal of building economic security for older Americans and their families, strengthening the middle class, and promoting job growth. Share this alert with your friends and colleagues. Tell a story of a senior threatened by cuts. Contact your Representatives and Senators via Twitter or Facebook using the #seniors hashtag. For the first time in nearly a year, lava is entering the ocean from Kilauea volcano, and Hawaii News Now has spectacular new video of the rare event. 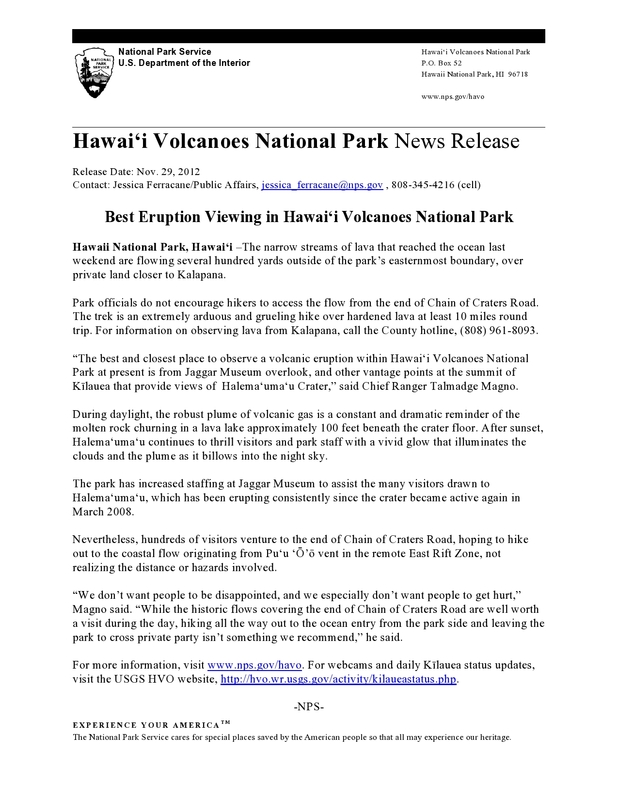 Lava Ocean Tours says the lava has been entering the ocean daily since it first began again in November. The Big Island tour company shared this video, which was shot over a three day period in early December. It shows lava cascading off 40 foot cliffs into the ocean. The flow is considered dangerous, and visitors are warned to observe only from approved safe distances. There are regulations involved with these lava boat tours. “All of our boats are Coast Guard inspected and state permitted, but there are some operators out there who are not permitted,” said Turpin. The Hawaiian Volcano Observatory says Kilauea, which has been erupting continuously since January 1983, has seen an increase in pressure recently. The increase also resulted in a rise in the lava lake inside a vent at the Halemaumau crater in the Kilauea caldera. Scientists are not sure how long the lava will keep flowing into the ocean this time around. 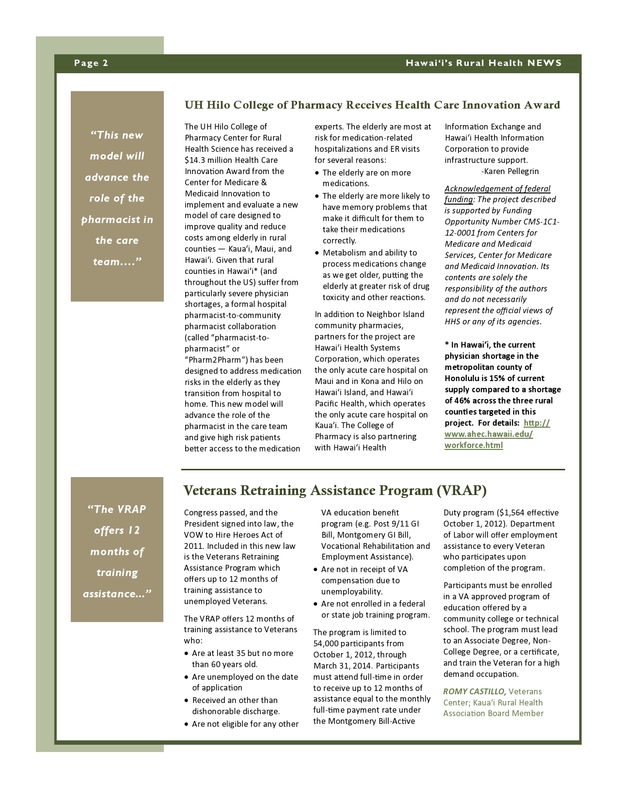 This entry was posted in News, Partnerships & Programs.